dlr Mill Theatre may change or update this policy occasionally. Any changes will be made available through an update to this document on our website. Customer record keeping – Your booking with us is a contract of service. We require your details to ensure that the service is fulfilled accurately ie. That the tickets purchased go to the right customer. To send periodic emails; Upon your approval, the email address you provide for order processing, may be used to send you information and updates pertaining to your order, in addition to receiving occasional company news, updates, related product or service information, etc. To our own service providers who process data on our behalf and on our instructions. In these cases, we require that these third parties comply strictly with our instructions and with data protection laws. 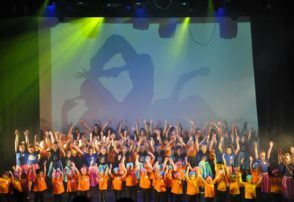 For example dlr Mill Theatre uses a number of Service Providers in order to process your data more effectively including the Box Office system Ticketsolve for processing ticket transactions and Realex for processing credit card payments. In addition we use Mailchimp for our newsletter bulletins and Esendex for occasional promotional text messages. 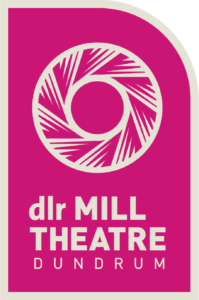 dlr Mill Theatre takes its security responsibilities very seriously, including by employing appropriate physical and technical security measures, conducting staff training and generating awareness, and regular reviews of these responsibilities. dlr Mill Theatre will take all reasonable precautions to prevent the loss, misuse or alteration of Personal Data volunteered through the Site. You should note however, that Internet transmissions are never completely private or secure. You accept that any information or message you send to the Site may be intercepted or read by others. 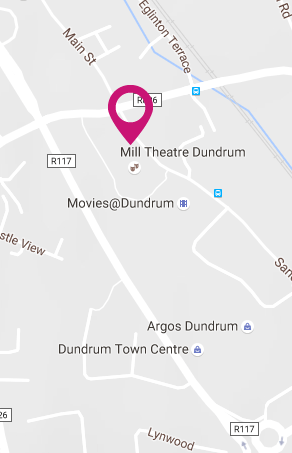 You hereby acknowledge and accept that dlr Mill Theatre have no responsibility and shall accept no liability whatsoever for loss, injury or damage occasioned by the interception by third parties of your transmissions, nor does dlr Mill Theatre offer any guarantees, warranties or indemnities as to the security or otherwise of any information which you volunteer. Guardians have the right to request access to their child’s Personal Data or request deletion of the child’s Personal Data. A guardian may exercise these rights by contacting their child’s school or teacher directly, who shall in turn contact dlr Mill Theatre. At any time a guardian can instruct a school or teacher not to permit their child to contribute any further Personal Data to the Initiative and can request that any Personal Data previously collected be deleted from the Initiative.